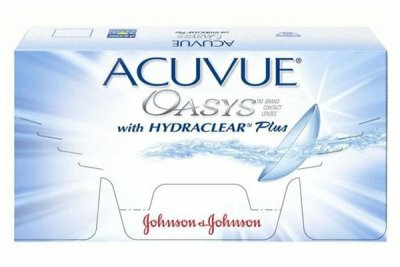 ACUVUE OASYS Contact Lenses 24 pack with HYDRACLEAR PLUS are fortnightly replacement lenses suitable for airconditioned environments. HYDRACLEAR® PLUS technology enables the contact lens to retain moisture which provides a high level of comfort suitable for air-conditioned environments. Replace the lens after 14 wears.